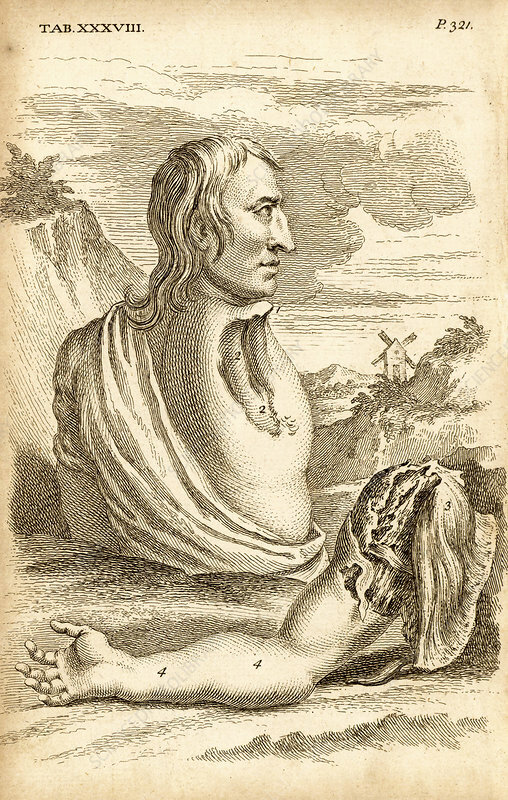 The miller Samuel Wood, whose arm and scapula were torn off when entangled in a rope attached to the moving mill machinery (1737). There was very little bleeding, and the amount of skin left was enough to cover the wound. A superficial dressing was applied and healing took place without complications. The author advises always leaving a similar area of skin when performing an amputation. From The Anatomy of the Human Body by William Cheselden (London, c1745). First edition published 1713. Engraving.